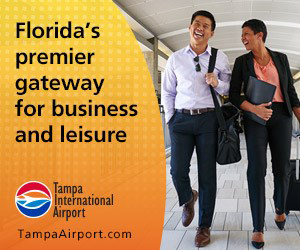 Doing business with Tampa Bay Business & Wealth is so much more than placing a print ad – it’s the foundation that will keep you connected to Tampa Bay’s CEO’s who WILL be reading. Known for outstanding creativity, the TBBW team will deliver your message in the manner that works best for your business. At TBBW we’re buying in to you, as much or more than you are us – we’re handing over our valuable relationships and credibility. It’s a smart investment that will keep you – and everyone else in the business community – talking. 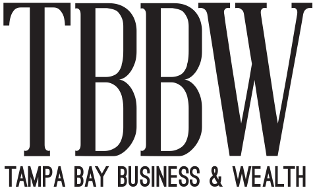 When you work with TBBW, our team partners with you and your business to understand your strategic goals, as well as your branding and market positioning needs. We create an effective program that gives you the voice you are looking for and the reasons you need to integrate your marketing dollars across print, digital and events. TBBW gives you the opportunity to truly gain access to key decision-makers with the power to say, Yes!”. Nobody recognizes the importance of relationships more than us – connecting people is what we do. We understand the power of events that deliver visibility, strategic content and quality networking among your peers. We offer customized events for clients including panel discussions on critical topics and CEO Connect, an invitation-only interview with a top local CEO. Our signature events recognize the very best and brightest in Tampa Bay and include Leaders in Law, The Apogee Awards for C-Level Executives, and Philanthropist of the Year.